With windows only at the front and back of the property, the middle section of a terraced house or flat can sometimes appear gloomy. Customise your home for sunshine with these clever design tips, which will illuminate even those central, shadowy corners with natural light. They may cost a little more than solid doors and have an extra expanse of glass to keep clean, but glazed doors are worth it for the extra rays of sunlight they’ll bring into your rooms. 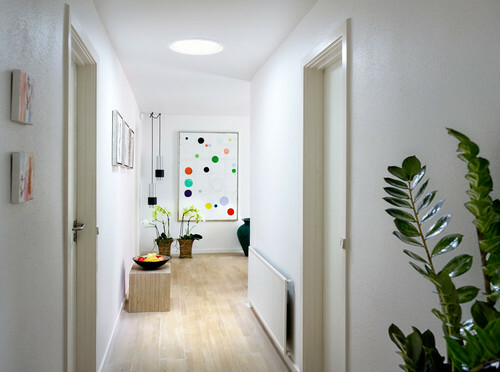 An additional internal glazed area above the doorway, as seen here, can turn a simple entrance into an interesting architectural feature, as well as bring in that little bit more light. It’s also worth maximising the glazing in your external doors, providing it doesn’t compromise their security features. Replacing an internal wall or section of a wall with a window can instantly brighten up central areas of a terraced home. 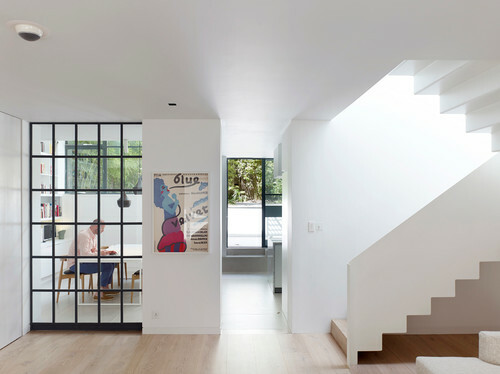 It can also make a lovely feature, like this Crittall-style design. If you have children, it means you can keep a closer eye on them when they’re in the room next door, too. 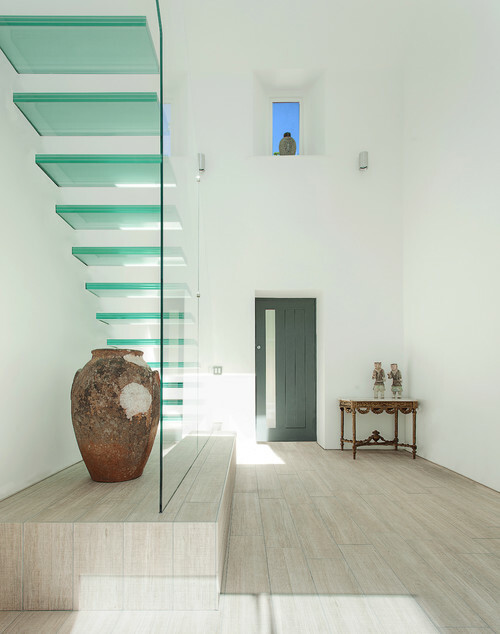 Open stair treads and glass balustrades, as shown here, allow light from the entrance hall and landing windows to travel right into the centre of your home. They can also create attractive shadows and strips of light across the walls and floor. For an ultra-contemporary feel, consider installing glass stair treads like these ones. 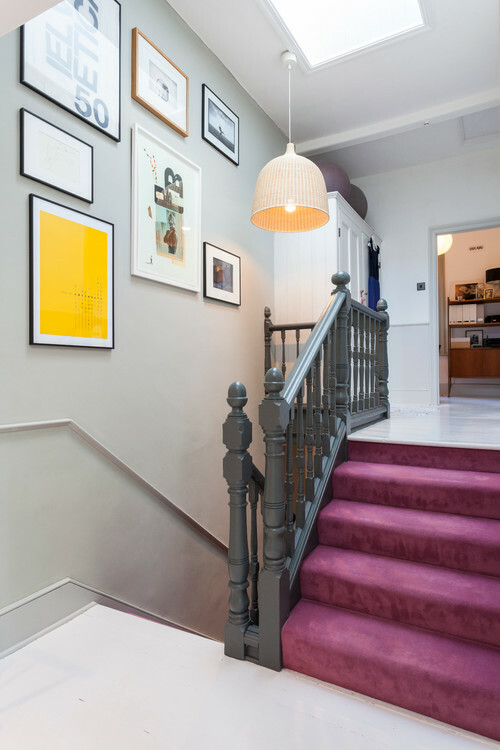 There are strict Building Regulations when it comes to stair design, however, so if you’re going bespoke, make sure your plans comply with the regulations prior to construction to avoid a very expensive mistake. See more floating stair designs for inspiration. The hallways of some terraced homes have no natural light at all. 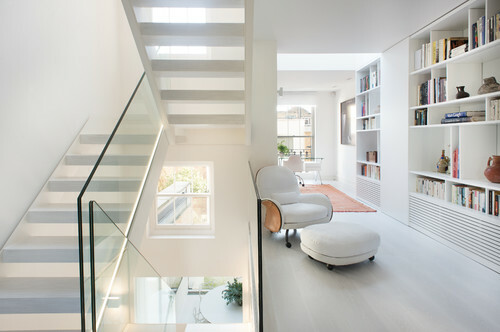 To brighten up such an area, remove the ceiling at the very top of the stairs and insert a roof window into the slope of the roof above. This will instantly brighten things up. If you’re about to embark on a loft extension, it’s the ideal time to make such an addition. Sun tunnels are special tubes inserted into your roof that snake their way down into whichever part of your home you want to bring daylight. They contain a highly reflective lining, so they don’t have to run in a straight line from your roof – they can bend around corners and still deliver daylight into the dingy depths of your home. It makes economic sense to install a light tunnel when you’re making other improvements to your home. Taking out the wall that separates your downstairs living space from your entrance hall ensures the light coming in from a glazed front door, as here, travels further into your home. Not only will this help to light the living area more effectively, the open-plan design will also make the whole floor feel larger. If your hallway wall is a supporting one, you may need to replace it with an RSJ (rolled steel joist) beam to take the load from above. If you decide to build into your side return, use as much glass as possible in your extension, so you don’t block the flow of light into that middle room. 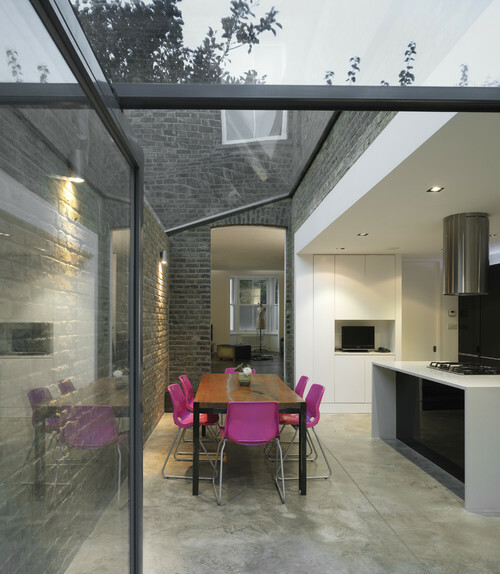 This glass box extension works wonderfully, and allows light from the side and above to enter the room beyond, so it might actually be brighter than before the extension was built.